It will be one of the most important events of the year for the Elite Pro Division. 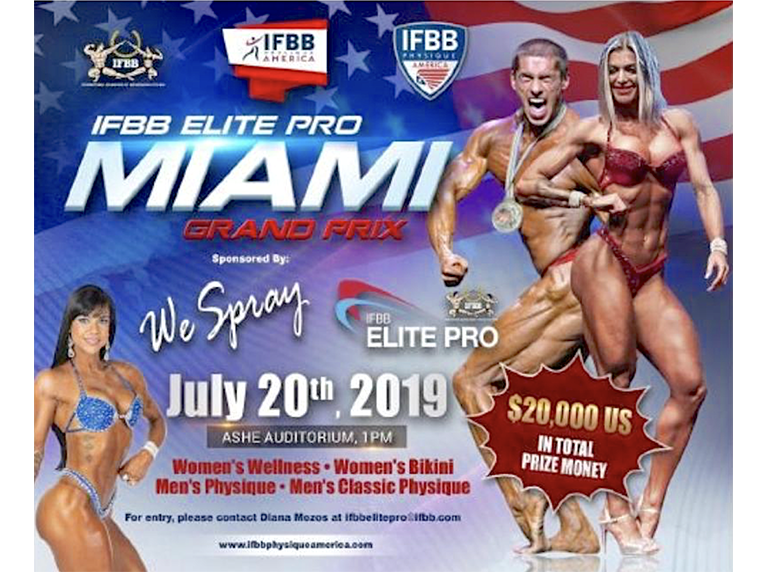 The historic debut of the Elite Professional competition in the USA, on July 20th, has not stopped generating news since the announcement of its celebration. If a few weeks ago, the Women’s Physique discipline was joined to the Amateur competition (Elite Pro Qualifier); on April 1st it was confirmed that IFBB Physique América (IFBBPA) -promoter of the event- has also convened the professional categories of Men’s Physique & Bikini Fitness, joining the initially scheduled Classic Physique & Wellness Fitness. This decision is a reflection of the unstoppable evolution of IFBBPA and the tendency of professional athletes to leave other organizations and join IFBB. Miami.jpg The Amateur and Professional competition of Miami (USA), has not stopped growing since its announcement.